On 15th July 2015, B&K Universal, part of Marshall Bioresources, won an appeal to rebuild their Yorkshire dog facility. 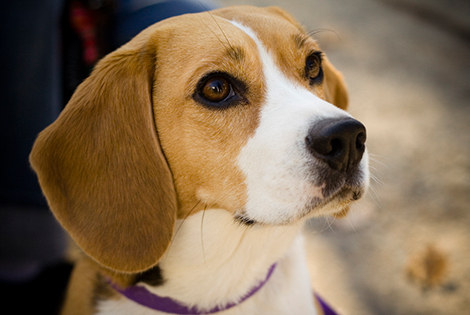 In the past B&K have held 200 beagles imported for experiments but with this result the company can begin to breed dogs on site for the first time. Their planning application was rejected twice by local Councillors before being approved by UK Government. But environmental enrichment was not the only motivation. The proposal allowed for expanding the site - estimates were for holding up to 2,500 beagles. The public objected, and the local Council planning committee refused the application, noting ethical concerns as well as the likelihood of noise levels affecting local residents. A new proposal, this time without expansion, was rejected on similar grounds, leading B&K to appeal to the UK Government. Last week Greg Clark MP upheld that appeal. Mr Clark, Secretary of State for Communities & Local Government, waived through the application, overriding not only local representatives at East Riding Council, but also the public who had written to complain ‘in very large volume…from all over Britain and from many other parts of the world’. Mr Clark’s decision letter can be viewed and read here, and you can find your way quickly through the long document with our notes below. “Provision of runs is a licensing matter and is not a planning related consideration. The recommendation in European Directive 2010/63/EU2 that dogs should ‘where possible’ be provided with outside runs has now been brought in to UK law”. “The appellants [B&K Universal] currently operate lawfully under licence from the Home Office, as the Competent Authority, without outside runs. The licence is the subject of regular review. As outside runs are not currently a requirement of the licence, there is no evidential basis on which to conclude that outside runs will be a condition of any future licence post-consent. These appeals must be determined on the basis that the licensing regime does, and will continue to, operate correctly. On this basis, outside runs are not required. any restrictions on the extent to which each such animal can satisfy its physiological and ethological needs are kept to the absolute minimum. A: Norman Baker: "Home Office officials have advised B&K Universal Ltd of the requirements for the proposed facility of European Directive 2010/63/EU, which was implemented in the UK and other member states on 1 January 2013. Decisions on planning applications are a matter for the relevant local planning authority." At Naturewatch Foundation we believe that experiments on animals are wrong. We believe it’s wrong that the number of experiments in the UK has spiralled to over 4 million – the highest annual figure since 1981. We believe this represents a failure to meet Government’s 2014 pledge to reduce the use of animals in scientific research. Meanwhile all of the tests on animals are kept secret so we’ll never know how these beagles lived and finished their lives without hope. We believe it’s long past time for UK Government to repeal the ‘secrecy clause,’ Section 24 of the Animals (Scientific Procedures) Act. If you feel the same, you can use the information about the Grimston B&K Planning Application to state your view. We’ve listed some suggestions for points you may want to include below in letters, and a list of people to write to. Please remember to write in your own words, letting your correspondent know about your beliefs and position. This will mean that the recipient needs to give each letter individual consideration before answering. You can share this blog post with anyone you know, and encourage them to research the subject and write off too. Please keep copies of all of the letters you send and any you receive. You can scan or photograph all your correspondence and send to us by attaching to email sent to info@naturewatch.org, including ‘Grimston Beagles’ in the subject line of your message. Please make sure that your attachments are legible, but that file sizes are small. It also guarantees that neither breeding dogs nor puppies will have any access to outdoor space at any time. How can environmental enrichment be provided if Mr Clark has specified that outdoor runs are not allowed? Surely the outdoor runs are possible, but considered too noisy. In this case is it not reasonable to expect that dogs should not be bred or kept there? Section 24 of the Animals (Scientific Procedures) Act, the Secrecy Clause, prevents the public from actively supporting the welfare of these dogs. The public needs to know how they’re bred, how they’re reared and how they’re sold. We need to know what experiments these animals are sold for, and the justification for exploiting each animal so fully. Describe the significance of Mr Clark’s decision as it relates to their licensing responsibilities. How can the Animals in Science Regulation Unit issue the site at Grimston with a licence if there will be no provision for outdoor runs?